Double-sided, gift boxed with a white ribbon for hanging. 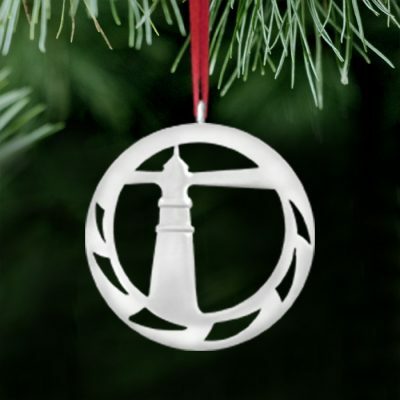 The front shows an image of the lighthouse with a nautical chart of its location as a background. 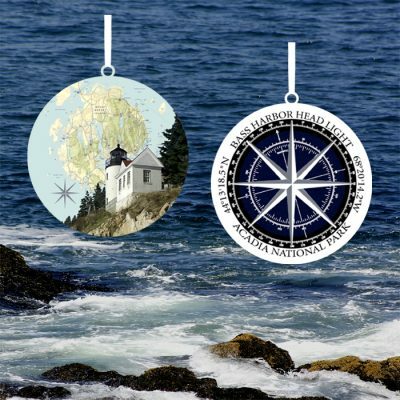 The reverse shows a compass with the coordinates and name of the light. 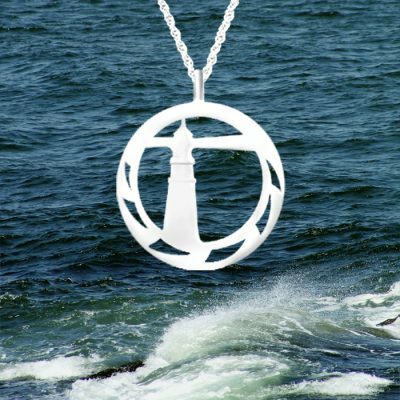 Pendants and earrings are an image of the lighthouse with a nautical chart of its location as the background.